The battle for control of the Iowa Statehouse is fully underway on the TV airwaves across the state. And who’s spending money where gives us a very good hint of what each party is seeing in their internal polls. House Democrats and Senate Republicans began running positive ads in a number of districts two weeks ago, with House Republicans joining the fray last week. It sounds like a fresh round of ads are now going negative on Senate Democrats. Some campaigns have already reserved ads through the election. Let’s take a quick look at which candidates are on TV right now to get a better sense of which districts both parties really believe will be the key battlegrounds. For the purposes of this post, I’m just going to list out who’s on TV right now, as opposed to doing up an extensive accounting of every dollar each candidates is spending and on which stations (which would take quite a while). I’m also only covering campaigns that are up on broadcast TV. I’ll add specifics where I noticed something interesting. On the House side, it’s long been clear that the HD 42 matchup between Kristin Sunde and Peter Cownie would be a marquee race. Cownie has $21,000 up on KCCI this week, while Sunde is spending about $12,000 there this week. Cownie will still have the financial edge again this year, but it doesn’t look like it’ll be anywhere near the overwhelming advantage as last time. Both parties are also engaging in one of the Ankeny seats, though Kevin Koester has a smaller $11,000 buy on KCCI this week. Perhaps Republicans feel a little bit better about that one than others. Republicans have felt good about their chances of picking up the Fort Dodge district, and Ann Meyer is on the offensive there with just under $25,000 on KCCI this week alone. However, the GOP is also having to spend heavily in a rural seat that hasn’t been on the board for Democrats lately. Phil Thompson has almost $21,000 on KCCI this week for the Boone and Greene County district that Chip Baltimore is leaving. Democratic farmer David Weaver seems to be giving him a real run for his money. And Republicans are also spending big to prop up Anna Bergman in the Waukee-based district where Democrat Kenan Judge has put together an exceptionally good campaign. She has about $21,000 on KCCI this week, with $45,000 reserved there for the last week of the election. Judge isn’t up yet, but he has a large war chest that should get him there for the last few weeks. On the Senate side, the Julian Garrett ad buy may be the most interesting. He’s got $13,000 on WHO-TV this week and $32,000 for the final week of the election reserved on that station. Democrat Vicky Brenner is running a particularly strong race here in a mostly-rural district that seemed out of reach for the party not too long ago. Keep an eye on this one. Meanwhile, Amber Gustafson is forcing Republican Majority Leader Jack Whitver to spend a similar amount in the Ankeny-based seat. Two other candidates are looking for TV time, but haven’t begun airing anything yet. 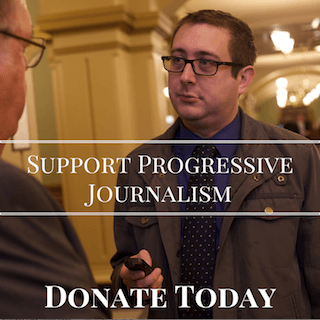 Democrat Kent Balducci and Republican Rebel Snodgrass have both inquired for ad spots in the final week or weeks, though both of those are from their individual campaigns, not the state party. Not a whole lot has changed here from what we reported on two weeks ago. The most interesting districts to come online are HD 95 and HD 73. Bobby Kaufmann has about $17,000 on KCRG this week, though the public file on KWWL is confusing. It seems he started to reserve ad time there this week but then cancelled it. Regardless of what’s happening, it’s a big deal that Kaufmann, a rising star in the party and son of the state party chair, is even thinking about going on TV to defend his district. Jodi Clemens has been running a particularly aggressive campaign out there. Louis Zumbach’s appearance on the list means Republicans must be seeing something in the polling, though this exurban/rural seat was probably going to fall into the battleground category this year anyway. Christian Andrews has put together a solid campaign here and has some money for the final stretch. Nothing yet in the two Cedar Rapids suburban districts. Neither Ashley Hinson or Eric Gjerde have spots reserved in HD 67. And neither party has engaged in HD 68, the seat that most expect Democrats to pick up. It’s only Republicans on the air out east at the moment. But what’s interesting is that there’s been a lot of speculation as to which of the House seats out there were most at-risk for Republicans. It seems like the Muscatine-based seat must be moving back in the Democrats’ favor the most if Gary Carlson is the first one up on the airwaves. He’s got $11,000 on KWQC and $14,000 on WQAD this week. 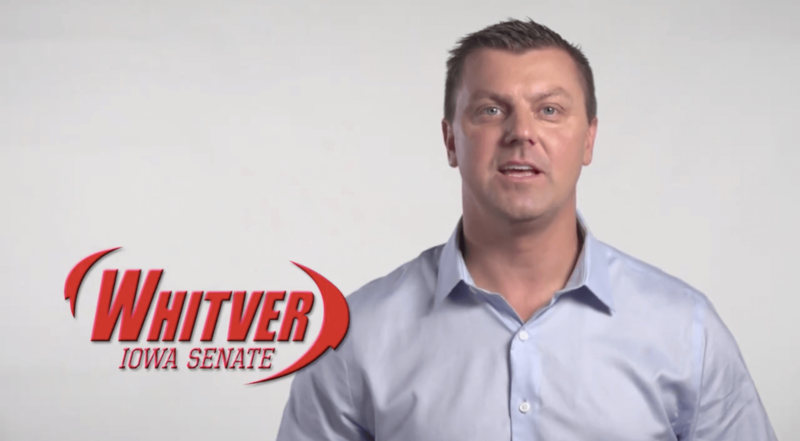 Meanwhile, Republicans have long been bullish on Chris Cournoyer’s chances to pick up Rita Hart’s senate seat, but what’s more noteworthy here is that Senator Roby Smith is up on TV with a similar-sized ad buy (Cournoyer has $22,000 on KWQC; Smith has $23,000). That might be just-to-be-safe money for an incumbent in a district that Hillary Clinton narrowly won, but it makes you wonder. In the remaining, smaller media markets, it’s mostly just one or two races that are on the board. Some notable new spending here. Republicans going in for Bob Henderson in Tim Kacena’s seat is a bit peculiar. Yes, Kacena had a much closer than expected first election last cycle, but this doesn’t feel like one Republicans would pick up after Democrats held it in a red wave year. And Henderson hasn’t raised much money, nor is he very active online. Still, it appears Henderson has TV spots reserved for the last three weeks on KTIV, KCAU and KMEG. Rick Bertrand is finally placing some buys. 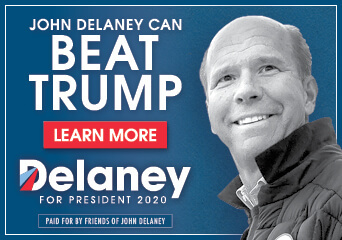 He was not part of Senate Republicans’ initial round of TV ads, so it’s possible he’s doing this on his own. He has relatively small expenditures on KCAU ($3,700) and KTIV ($12,000) spread out over a couple weeks, then one larger burst in the final week ($19,000 on KCAU, $29,000 on KTIV). Democrats still see this as their best pick-up opportunity, but Bertrand can raise enough on his own (or invest his own money) to defend himself a decent amount even if the party doesn’t fully come in for him. Both sides must be seeing something in the polling for the western side of Council Bluffs. Charlie McConkey is another Democrat where you have to figure that if he survived 2016, he can survive 2018. Council Bluffs is, however, the one area of the state where I’d have the least confidence in it bouncing back for Democrats after Donald Trump. On the other hand, McConkey is the legislator I’d have the most faith in winning those folks over. 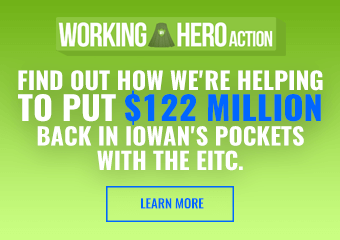 LeAnn Hughes has $16,000 on WOWT next week; McConkey has about $4,600 on WOWT this week and $12,000 on KETV.